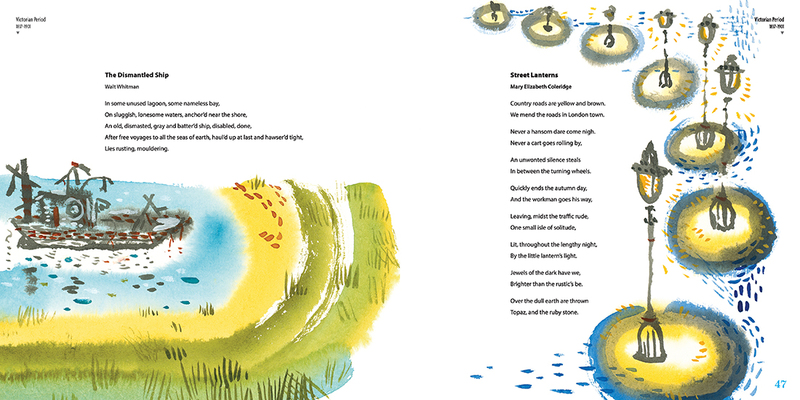 Last week, I chatted over at Kirkus with Paul B. Janeczko about The Death of the Hat: A Brief History of Poetry in 50 Objects (Candlewick, March 2015), illustrated by Chris Raschka. So today I am following up with two spreads from the book. THE DEATH OF A HAT. Compilation copyright © 2015 by Paul B. Janeczko. Illustrations copyright © 2015 by Chris Raschka. Reproduced by permission of the publisher, Candlewick Press, Somerville, MA. 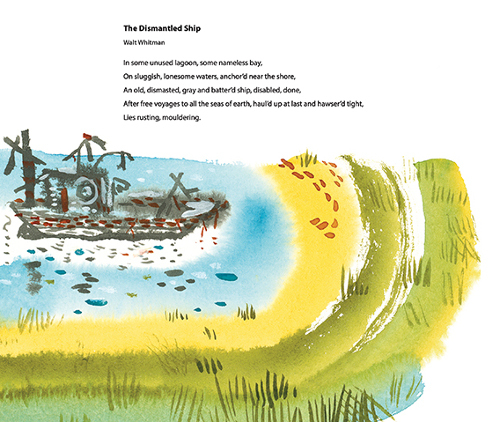 “The Dismantled Ship” by Walt Whitman. 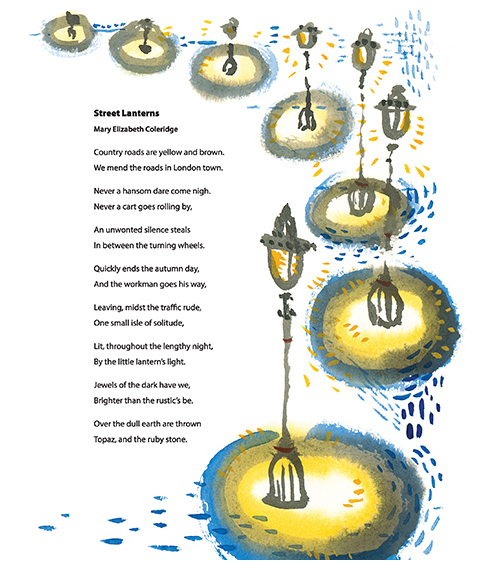 “Street Lanterns” by Mary Elizabeth Coleridge. “From Mercutio’s Queen Mab Speech” by William Shakespeare. 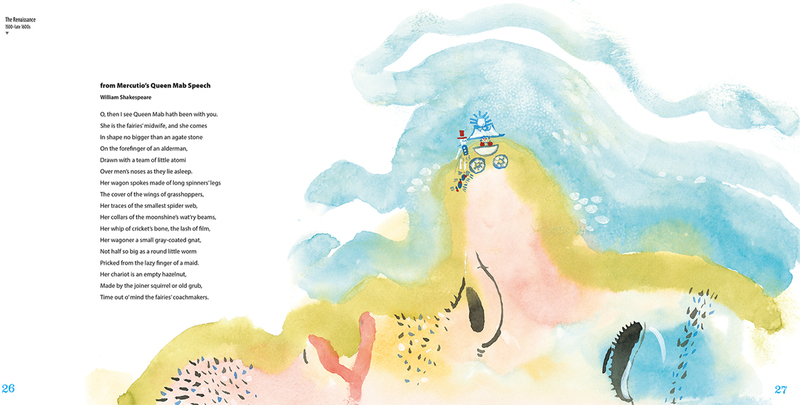 Just a supremely lovely set of spreads. WOW. What a book. I really enjoyed your Kirkus piece last week Jules. Added it to my blog post. I never tire of Chris Raschka’s artwork. It’s marvelous.